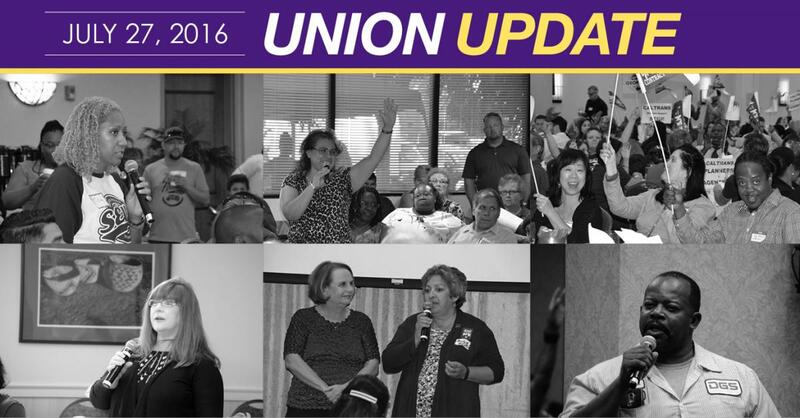 After a two-week listening tour across California, our bargaining team held the last of 13 town halls in Sacramento on July 21, wrapping up a series of union meetings that gave members an opportunity to learn the details of the state’s contract offer and provide their input. Overall, thousands of members either attended a town hall in person, watched via live stream or completed an online survey, underscoring again that Local 1000 is a member led union with ever increasing member participation and engagement. During each town hall, officers and bargaining team members walked attendees through the state’s offer and answered scores of questions from concerned members representing diverse classifications from environmental planners to state capitol custodians. With the completion of live town halls and the online survey, our bargaining team is collecting and analyzing everything we heard so we can create a path forward together.